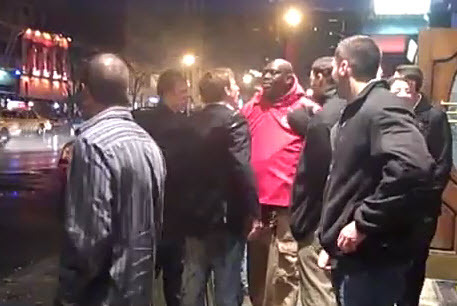 Some dumb, drunk kid tries to get in a club, but the bouncers won't let him in. They push him away, and he keeps coming back asking for more... I love the other drunk kid. All he can repeat is, 'lawsuit, lawsuit.' They sound and look retarded... the best part is the guys talking behind the camera lmao!